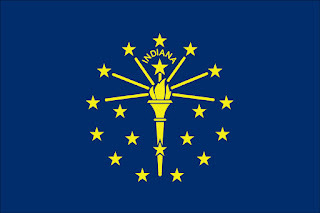 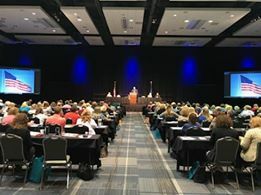 The Indiana State Board of Accounts' state-called conference with the Indiana Auditors Association is here! 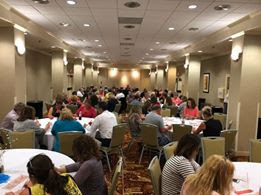 County auditors and staff members from throughout Indiana are gathering for a week of training sessions at the Hilton Fort Wayne at the Grand Wayne Center, 1020 S. Calhoun St., Fort Wayne. 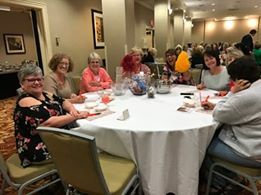 The Indiana County Auditors' Association officers get ready to welcome auditors at the spring conference registration table. 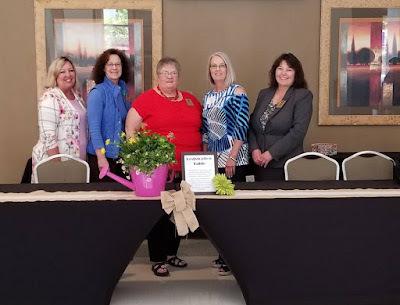 Left to right: Jennifer Flater of Clay County, secretary; Julie Fox of Marshall County, vice-president; Pauline Graff of Elkhart County, president; Patty Ball of Daviess County, president-elect; Vicki Urbanik of Porter County, treasurer. 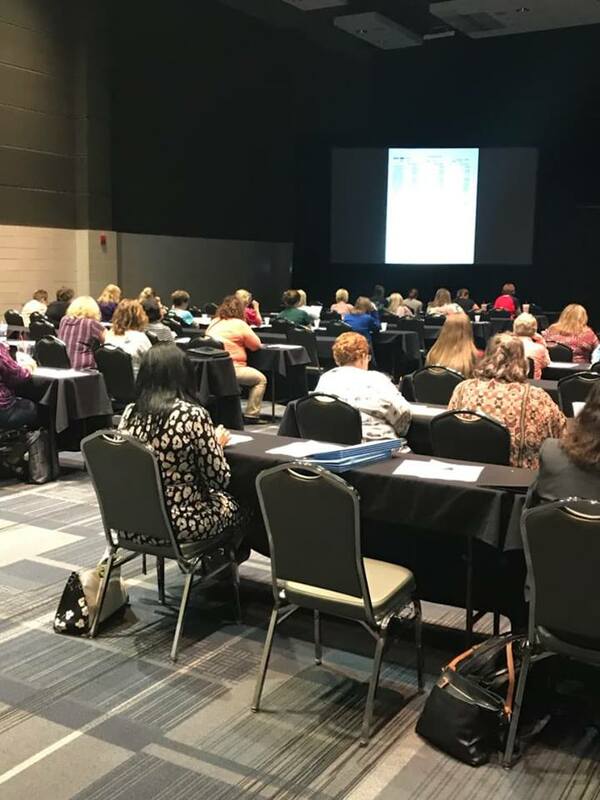 The Tuesday education session was "Budget and Finance," presented by the Association of Indiana Counties. 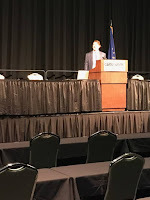 Speakers were Tim Berry and Angie Steeno of Crowe Horwath and Jason Semler of Umbaugh. 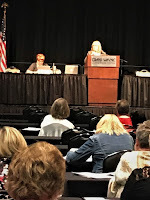 Angie Steeno of Crowe Horwath. Indiana State Auditor Tera Klutz addresses the county auditors. 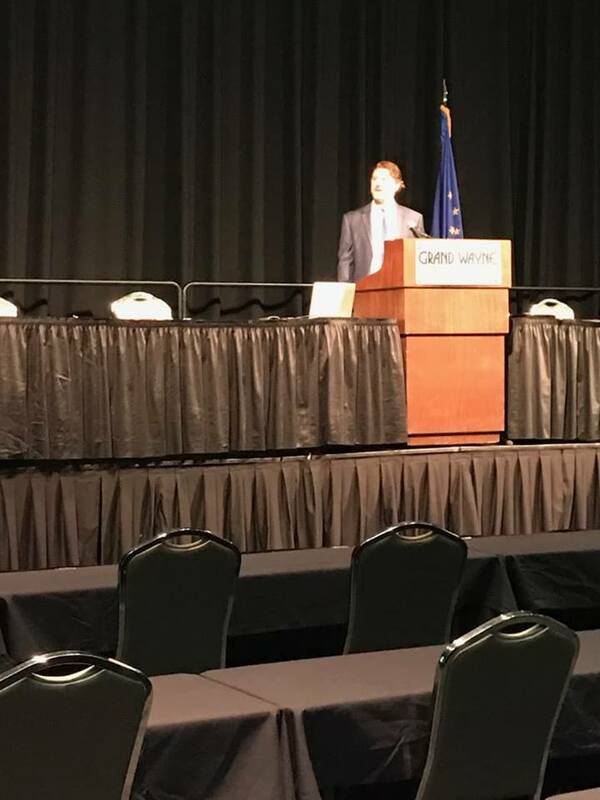 DLGF Budget Director Fred Van Dorp addresses the county auditors. 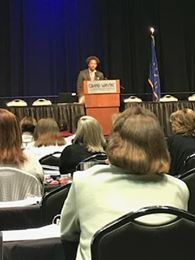 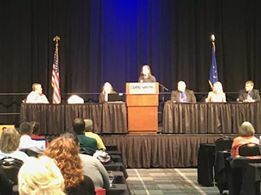 The state-called conference opened with introductory remarks from representatives of the State Board of Accounts, Department of Local Government Finance, and Auditor of State's office. 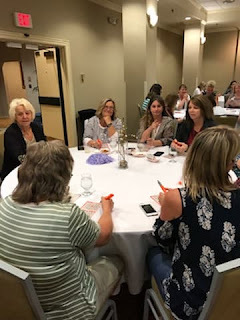 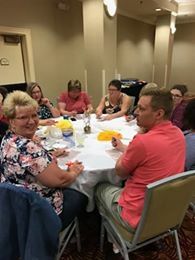 The Wednesday night activity was bingo led by Jacque Clements of the Association of Indiana Counties.